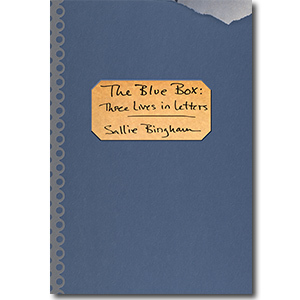 This is the personal website of Sallie Bingham, a writer, teacher, fem­i­nist activist and philanthropist. We do not collect any personal information on this site by default, unless you create an account to comment or use one of our features (like Facebook Messenger notifications) or use the Contact Sallie form. We only collect the data that you enter into the fields (name, email address, personal account preferences, etc.). Other than what you see on this site, this information is never made public. Administrators of this site can see and edit your information, with the exception of your username. To comply with the new GDPR regulations, you always have the option of contacting us to receive a copy of the data we have as part of this website or having it erased. None of the data you enter on this site is used for marketing purposes of any kind, it is not resold or given to another person or company for any reason. We value your privacy as much as we value our own. When you leave comments on the site we collect the data shown in the comments form, and also the your IP address and browser user agent string to help spam detection. Blog post comments left on this site are automatically synched with Facebook and appear there, and comments left on Facebook are synched with this site and appear here. Blog posts and pages on this site may include embedded content (e.g. videos, images, articles, etc.). Embedded content from other websites behaves in the exact same way as if the visitor has visited the other website. As stated above, this website uses Google Analytics to track site visits, the time you spend on this site, and other data, so that we can better understand how you’re using this site. This data is anonymous. If you choose to receive new post notifications via Facebook Messenger, information is communicated with Messenger to allow this process to take place. All of this happens securely, on Facebook’s platform. If you choose to receive new posts by email, we use Mailchimp for that service. Information is securely communicated with Mailchimp to facilitate this process. All of this happens securely. As stated above, our site integrates with Google Analytics, Facebook and Mailchimp. Visitor comments may be checked through an automated spam detection service provided by WordPress. All traffic/data sent to and from this website regardless of it’s nature is sent securely using the latest SSL technology (confirm by looking just to the left of the current URL in your browser). If you have any questions or need clarification on anything you read on this page, please don’t hesitate to Contact Sallie.